If confetti is a versatile special effect, streamers are a fun one! We’ve used streamers at sporting celebrations, product launches, parades and more. They provide a wonderful splash of colour and create laughter and excitement, and are really easy to clear away, leaving no mess. Our streamers can be up to 20 metres long. They are available in tissue paper and metallic finishes in a huge array of colours. All our streamers all colour fast and fire retardant, so they are safe as well as fun. Our streamer launchers can be adapted to create precisely the effect you need. As with all our special effects, when you’re discussing streamers, all you need to do is tell us the effect you’re looking for and we’ll advise you on the options. You know the visual effect you want to create and we know how to achieve it. Get in touch if you’d like MTFX to provide the streamers and the ingenuity at your next event. 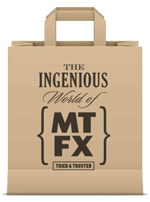 Contact the MTFX team to discuss your streamer needs.